Made with Real Almond Butter! It's common knowledge that consuming foods that contain large amounts of sugar may cause your blood sugar to spike. But did you know other types of carbohydrates may have the same effect on blood sugar? 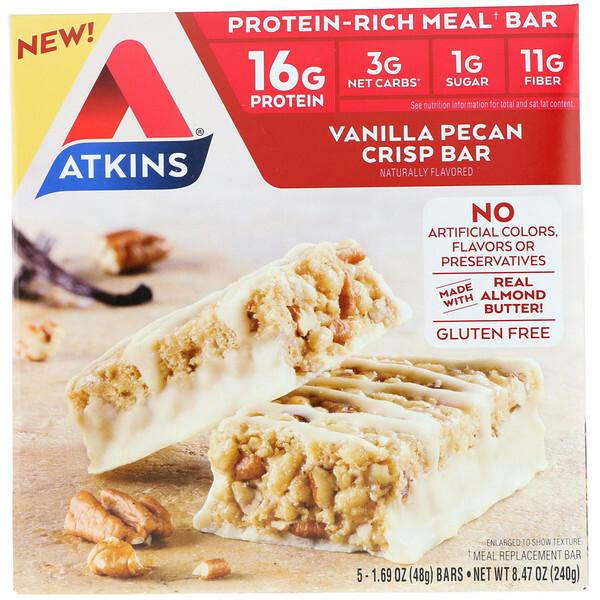 At Atkins, we call this for "Hidden Sugar Effect." For example - a medium sized bagel has the same impact on blood sugar as 8 teaspoons of sugar*. 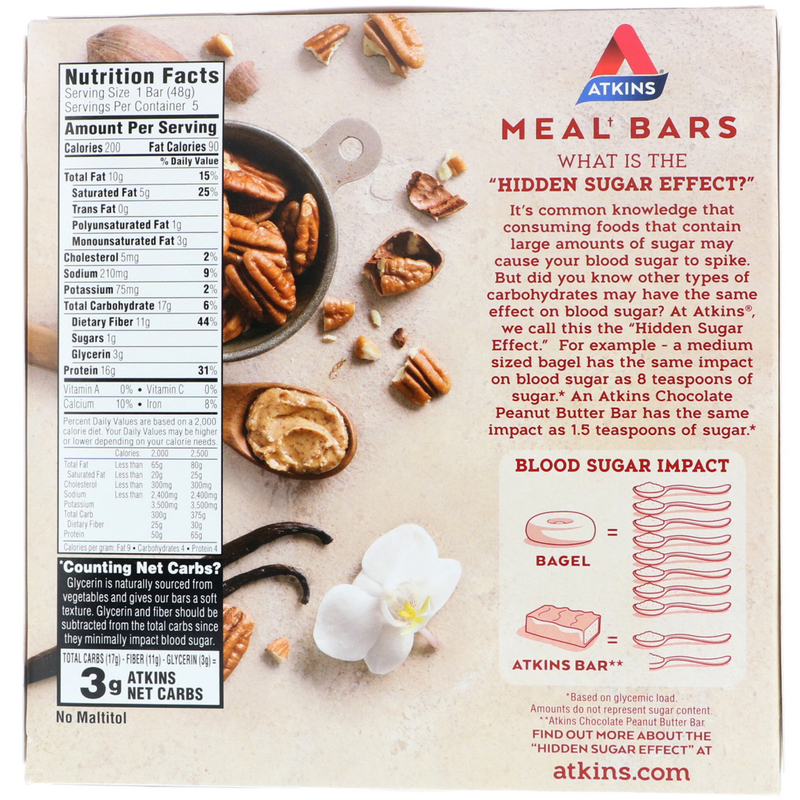 An Atkins Chocolate Peanut Butter has the same impact as .5 teaspoons of sugar*. Protein blend (soy protein isolate, whey protein concentrate, milk protein isolate, whey protein isolate), soluble corn fiber, polydextrose, vegetable glycerin, palm kernel oil, pecans, almond butter, coconut oil, sunflower oil, whey powder, rice starch, contains less than 2% of; rice flour, natural flavor, salt, mixed tocopherols (to maintain freshness), soy lecithin, sucralose. 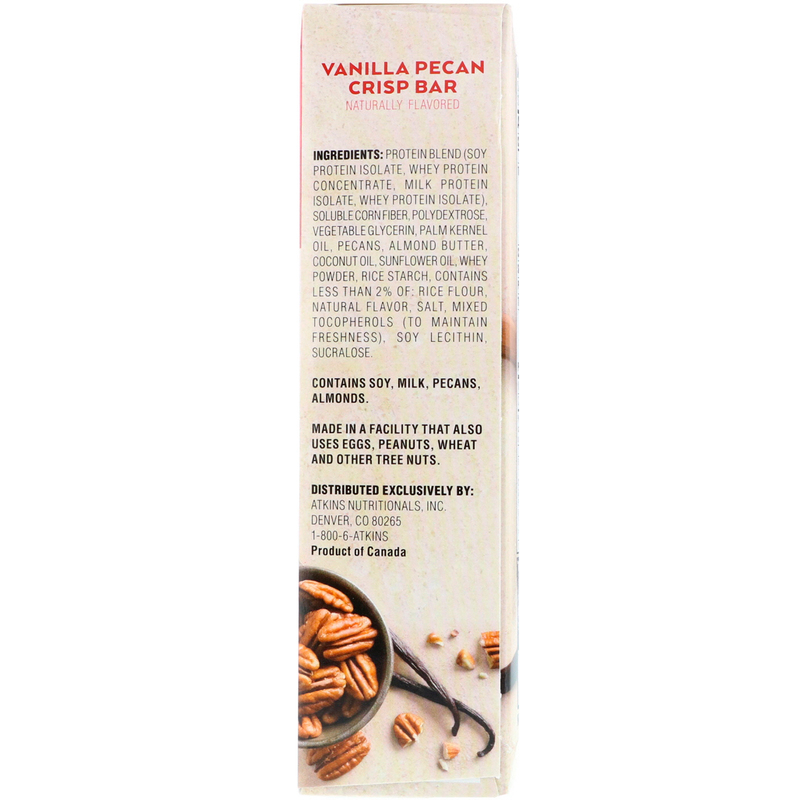 Contains soy, milk, pecans, almonds. Made in a facility that also uses eggs, peanuts, wheat and other tree nuts.